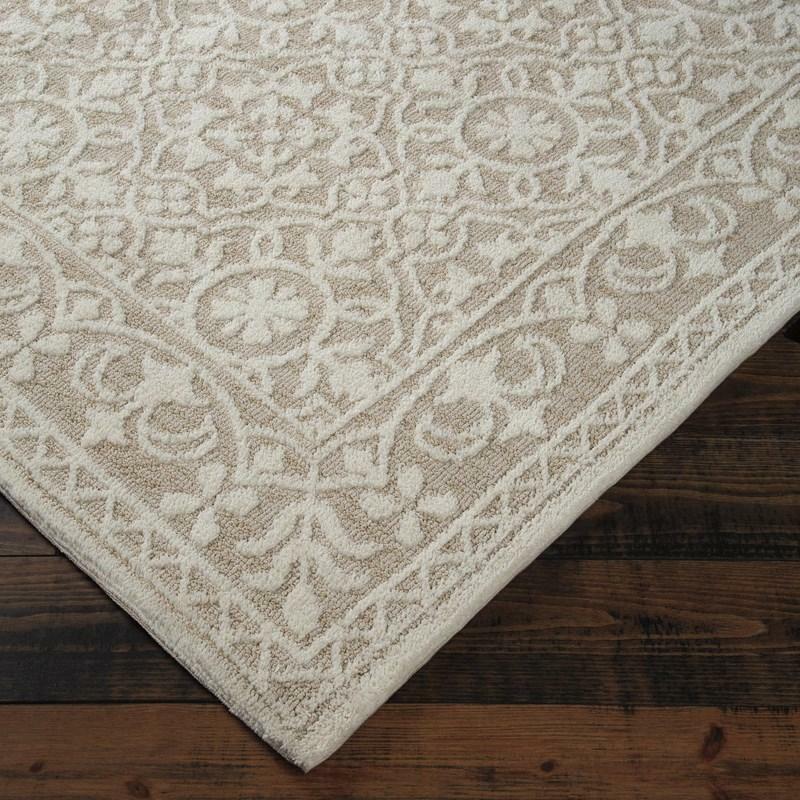 Looking for casual elegance in light, neutral colors for the floor? Flower power adorns with the Beana large area rug. 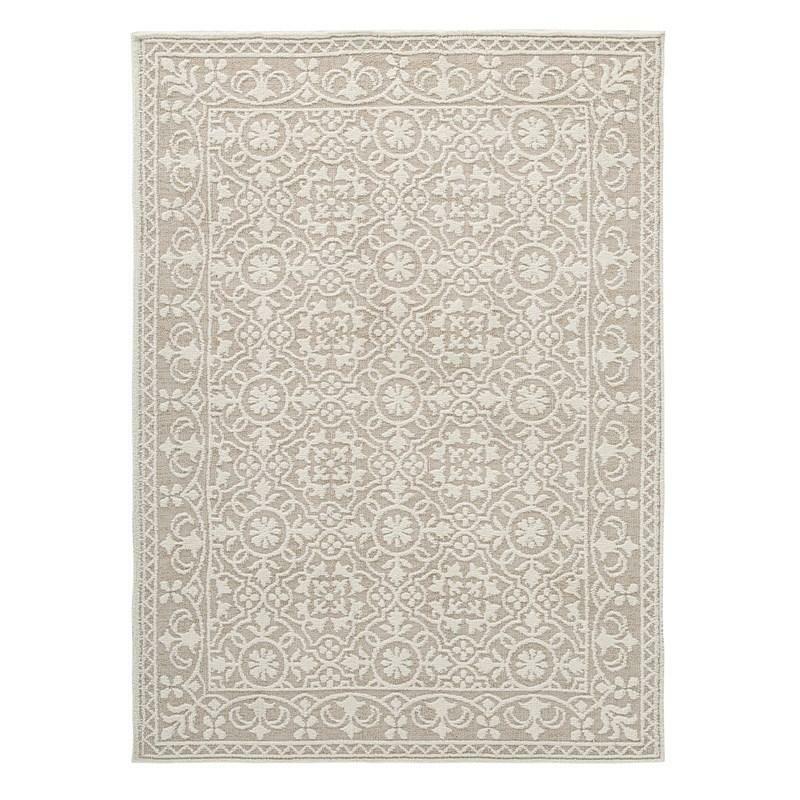 Its intricate trellis pattern repeats with flowers, leaves and so much more in ivory color set against a beige backdrop. 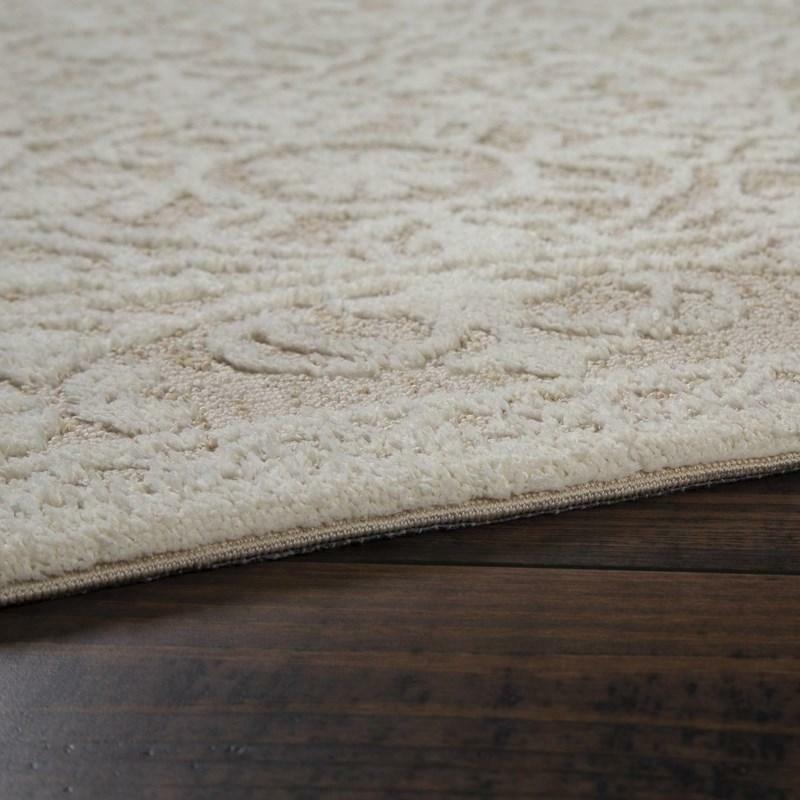 This medium pile rug is sure to deliver soft comfort combined with beauty underfoot. Volume 3 cu. ft. / 0.08 cu. 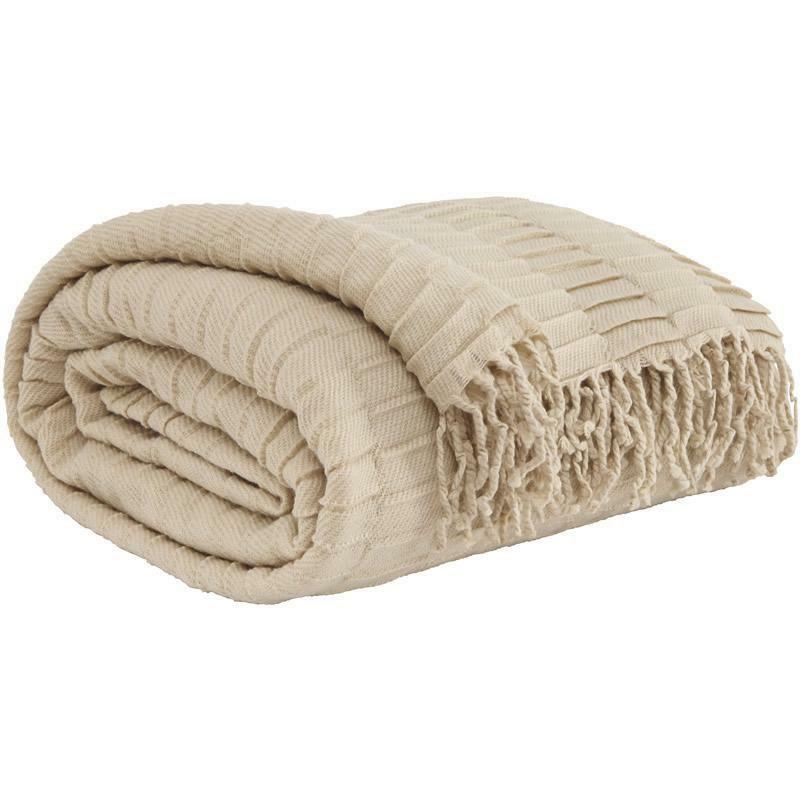 m.
Buttery soft in feel, the Signature Design Mendez throw is perfectly out of line. Off-centered ribbing incorporates such great texture, while the dusty hue is a dream come true.